Should public drinking get you a criminal record? The City Council wants to change the punishments for low-level offenses. Will urine fill the streets? Will fewer people enter the criminal justice system? Only time will tell. When a person spits in a park, should he or she get a criminal record? What about when someone is caught with a beer outside? Or littering? Or peeing against a wall? 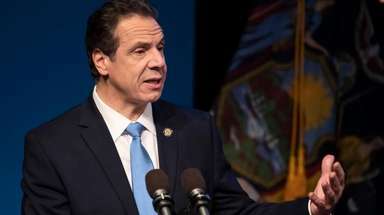 The New York City Council introduced a package of criminal justice reform bills yesterday intended to amend the penalties imposed on offenders of low-level crimes such as these. If the measures are passed, the cases of many offenders would be shifted to civil as opposed to criminal courts — avoiding a permanent criminal record. Failure to appear in court wouldn't generate an arrest warrant, which could result in the nightmare scenario of spending a night in jail for an offense like loitering. An option of community service would substitute for those who could not pay fines. While these might not seem like doomsday changes, some supporters of broken windows policing, which views low-level, quality-of-life offenses as the first line of defense against larger ones, worry that a more permissive NYC would lead to a debauchery of peeing and public drinking. Council members were quick to stress that they were not decriminalizing anything, and were rather adding civil enforcement options for police officers. On the other side of the issue, some reformers say that the package of bills does little to change the reality of life in certain communities where police presence is omnipresent and obtrusive, where low-income, predominately African-American and Hispanic residents are swept into the criminal justice system for doing things that take place on a daily basis in other boroughs, other blocks. Either way, the crux of the reforms depends on a particular commodity: the discretion of the cop on the beat. What's the best way to enforce the law? The bills are focused less on policing strategy than the correct dimensions of punishment — getting the criminal justice system out of residents' lives, barring serious issues and serious offenses. "Proportional justice," as Council member Jumaane Williams said yesterday. Does the penalty fit the crime? The actual policing, however, is still the province of the police. And it's the officer on the beat who does the entry-level sorting — routing offenders into either the criminal or civil system. "Police discretion, wisely exercised, is the foundation of a fair criminal justice system," said Elizabeth Glazer, director of the mayor's Office of Criminal Justice, at the council hearing yesterday. In some cases, officers have the option of choosing a civil penalty, but that option is rarely chosen. And the NYPD has no policy guiding officers towards one option or the other. One of the bills addresses this issue, requiring the NYPD to establish guidelines, available to the public, for the enforcement of a number of minor offenses. The legislation urges the civil choice to be the primary one. But there's still a lot of wiggle room. The discretion might be very broad, or very narrow, according to Council member Rory Lancman, who advocated for the most specific guidelines possible — a "series of boxes," to check for example. The police department has pushed for the criminal option to remain to ensure public safety. That might be warranted, but it should be limited to exactly that, and not an excuse to avoid the civil option which is the spirit of this legislation. There's little evidence that our current system is the only thing holding back the garbage tide. These practical reforms help the courts focus on more important crimes — not piss and litter.